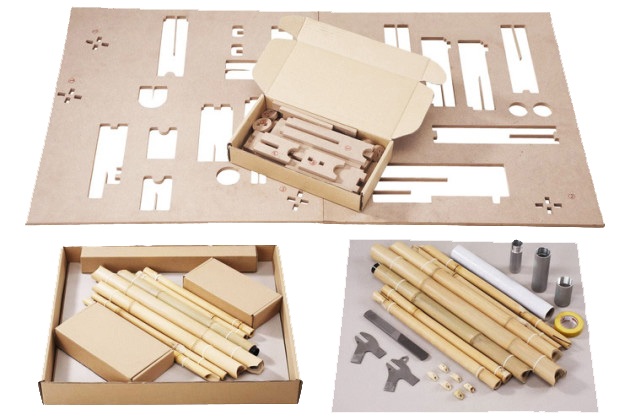 Application of crowd funding has resulted in the commercial production of the Bamboo Bee build-your-own bicycle kit. At the same time, flexible specialization in the use of 3D printing has created the Strati, an amazing new electric car. Both of these point towards the future of manufacturing and process innovation as well as changes in future forms of environmental transportation. 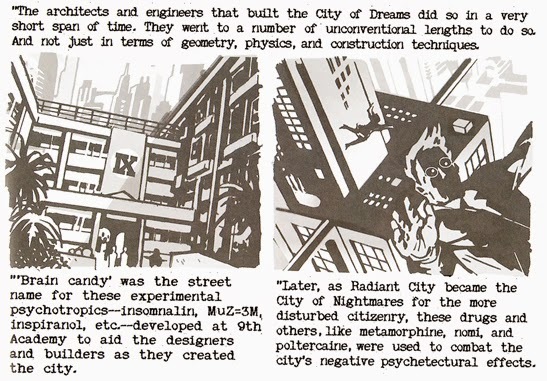 Interesting to note that Dean Motter, the creator of Mister X, has had an architectural training. 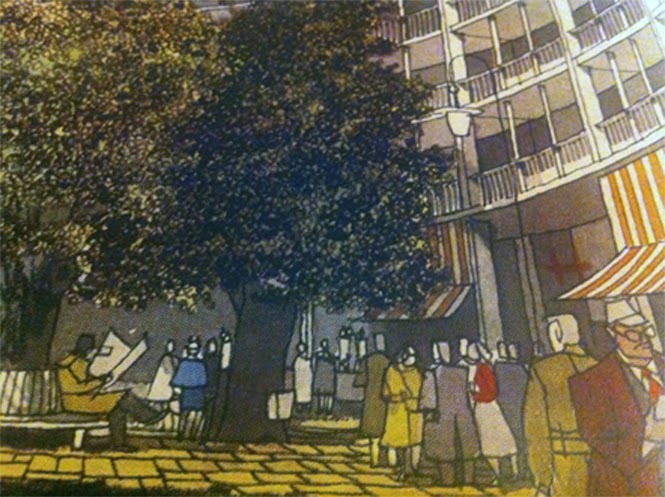 In his afterword to the new collection, he describes how his 'Theoretical Architecture' (really?) professor described his work as 'science fiction' and how his imagination was being constrained by the reality of physical structure ... a clear indication that just because you can imagine it and can draw it doesn't mean that you can build it. But just imagine if you could build it ... ? 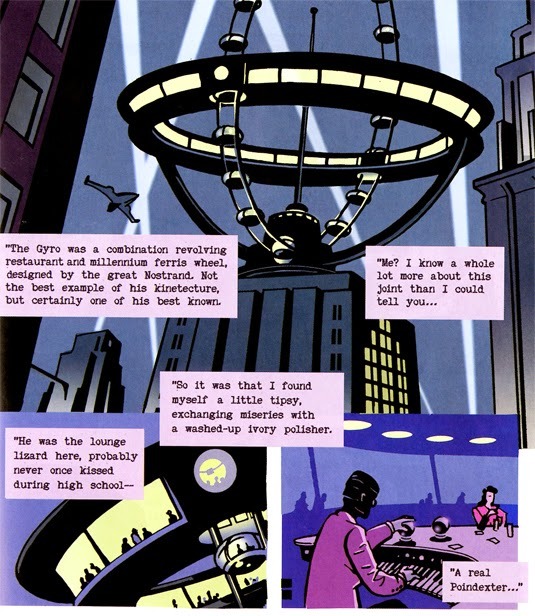 Reference: Motter, Dean (2013) Dean Motter's Mister X: Eviction & other Stories (Dark Horse, Milwaukie). Is this a significant step in national branding? 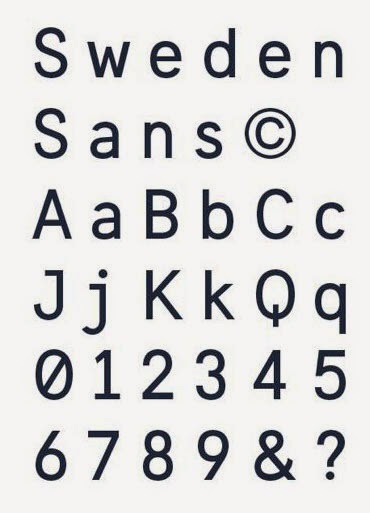 The launch of a national font in Sweden that is described as "modern and geometric ... minimalism" Sweden Sans. Can it ever replace Helvetica as the generic minimalist standard typeface? 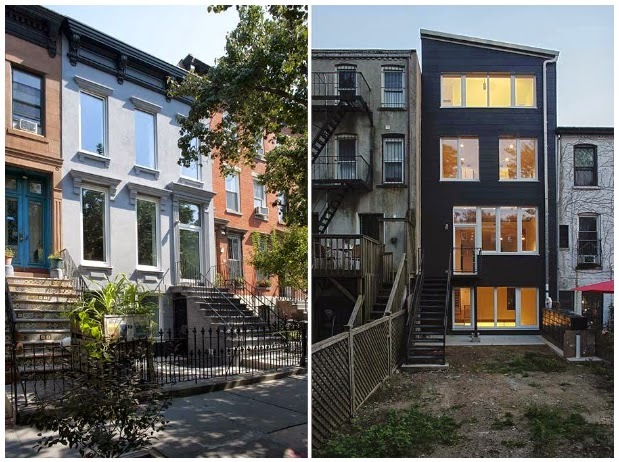 The award winning Tight-House in New York is a great example of an historic refurbishment and retrofit to Passiv Haus standard. Creative ideas for light penetration into a deeper older property, together with exemplatory specification of building fabric. 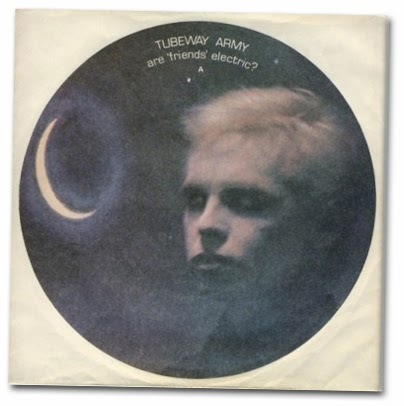 References: Numan, Gary "How we made ... Are 'Friends' Electric?" The Guardian G2 18th February p19. 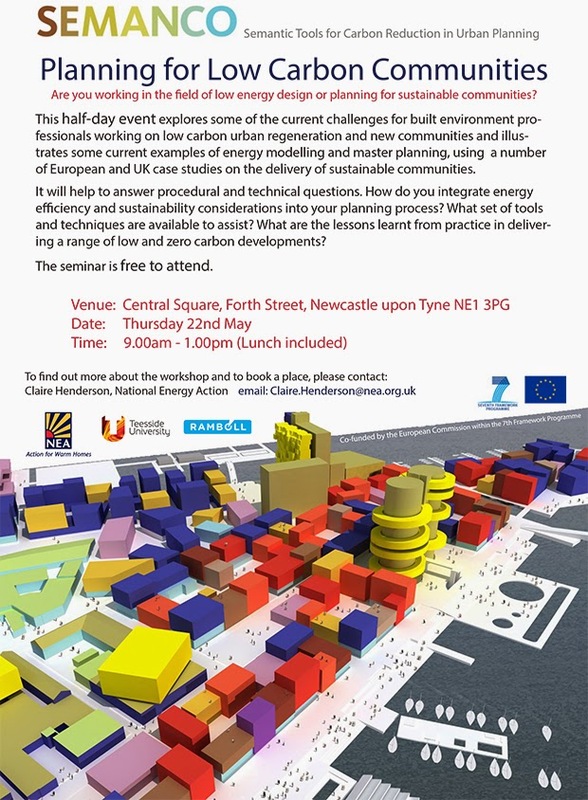 Simple information regarding an upcoming event on low carbon communtiies and energy masterplanning. Just South of Central Station, Newcastle on 22nd May. Find out more by containing Claire at National Energy Action. 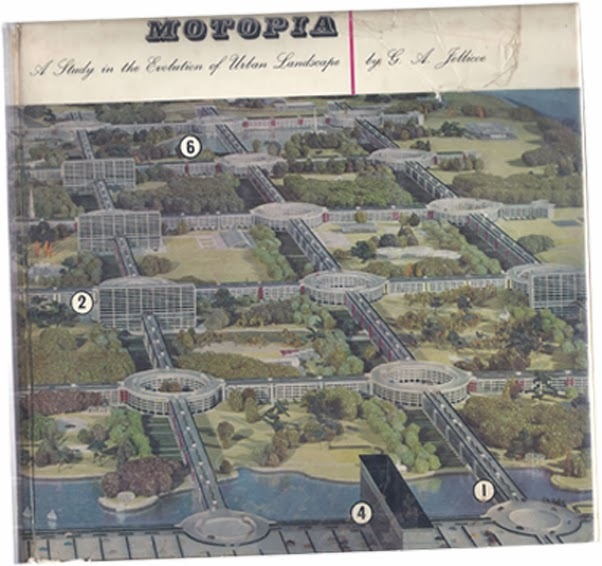 Reference: Jellicoe, Geoffrey (1961) Motopia: A study in the evolution of urban landscape (Studio, London). 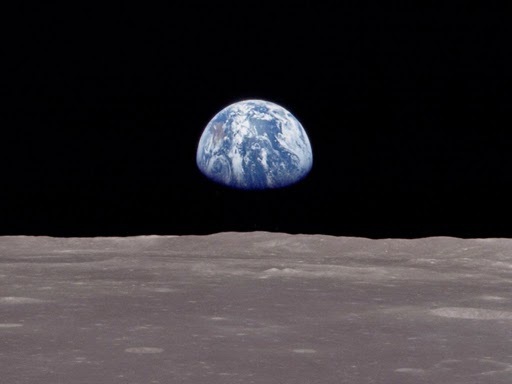 The photograph "Earthrise", by Apollo 8 crew member Bill Anders, taken on Christmas Eve 1968 is said to have kick started the global environmental movement and visualised / popularised the idea of "Spaceship Earth" with our planet as a closed global system with limited resources and carrying capacity. Yet while the concept was popularised by people from Stewart Brand and Buckminister Fuller, the first use of the phrase was regarding global economics in the work of Barbara Jackson. Closed systems being exploited by economic systems demonstrating some complex inter-relationships. All very topical again in 2014 (and probably will be again around 2035). 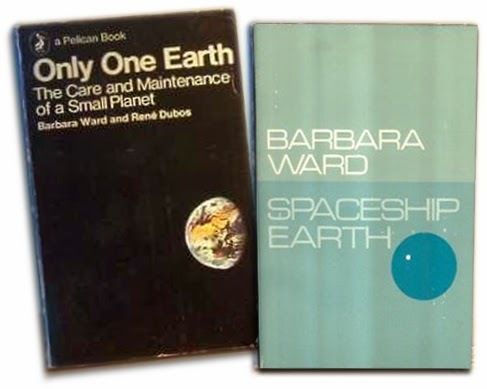 References: Ward-Jackson, Barbara (1965) Spaceship Earth (Columbia University Press, New York). 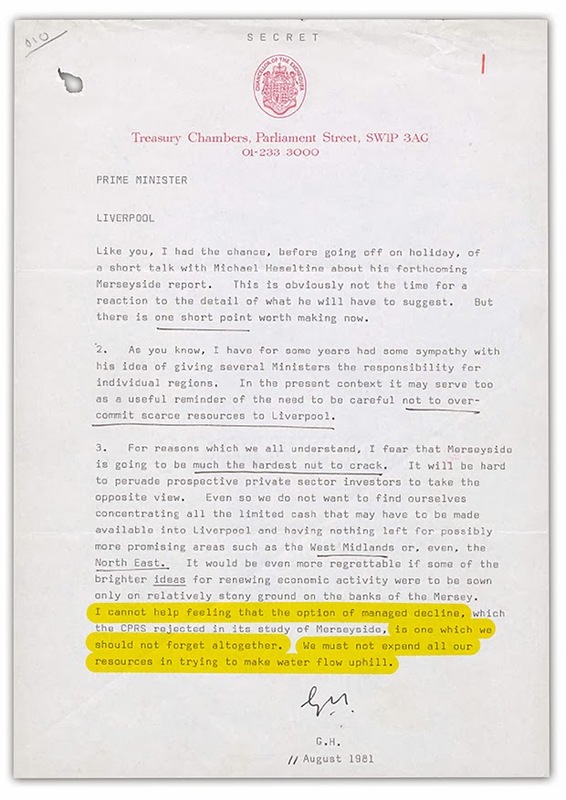 Hidden in the depths of the UK National Archives are some strangely current issues around urban policy and housing market renewal. 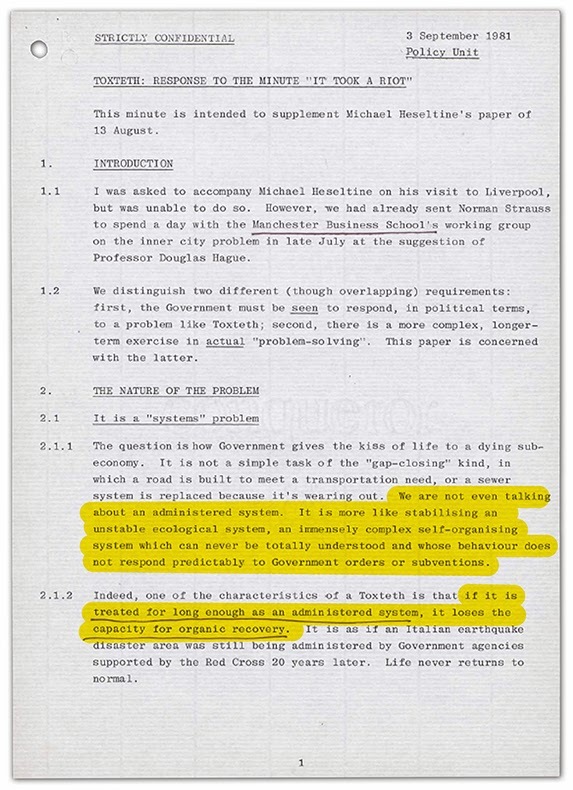 Geoffery Howe's support for the idea of 'managed decline' of Liverpool has been well know publically for a while, but less so the underlying briefing report that decsribes the complex self organising nature of Liverpool as an urban system.